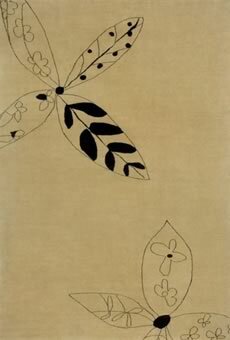 Madeline Weinrib, a New York city based artist, has been designing carpets since 1998. She is the grand-daughter of Max Weinrib, the founder of ABC Carpet & Home. Weinrib studied fineart at Marymount College, New York, and has exhibited her work at New York's De chiara/Stewart Gallery and at Art in General. She has served on the faculty of City College in New York city, where she has taught drawing. Her paintings have been on view at Glenn horowitz Gallery in East Hampton, NY.